April headlines from around the web brought to you by Wasp Buzz Small Business Magazine. The U.S. Senate is expected to make a decision soon regarding Internet sales tax legislation aimed to give states the power to collect sales tax for online sales, regardless of a merchant’s physical presence. Businesses may soon be required to remit sales taxes for e-commerce activities, which would impose additional financial burdens on small business operations. A key contributor to business failure is not fully comprehending or grossly underestimating the costs of running a business. To be successful you need to plan for the unexpected costs of running a business, which is why Wasp has put together a short list of hidden costs to help you get started. With the recent tragedy at the Boston Marathon and others around the world, a recurring question comes up: are brands on social media acted ethically or no? Although these issues are not always clear-cut, it’s important to evaluate to determine if your organization has handled it the best way. Social Media Today provides three steps to improving the ethics of social media marketing. 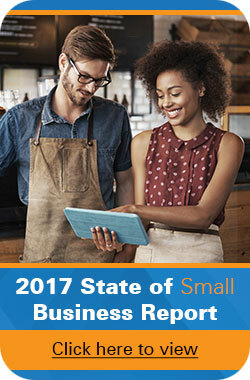 Small business owners are fortunate to have so many tools available to help them manage their organizations. Fox Business shares five marketing technologies every small business can benefit from. Appy Pie is a mobile app maker allowing individuals with little technical expertise the opportunity to create custom apps for their business. TinderBox is a Web-based proposal-generating program. Slide.ly is a Web-based app that lets you make unique slideshows and share them via popular social media sites. Engajer lets you create a 30-second video segment to lead viewers through an interactive menu of Q&As. Lastly, Crushpath is a Web app that lets you build a one-page website with the ability to share with potential customers via email or social media sites.